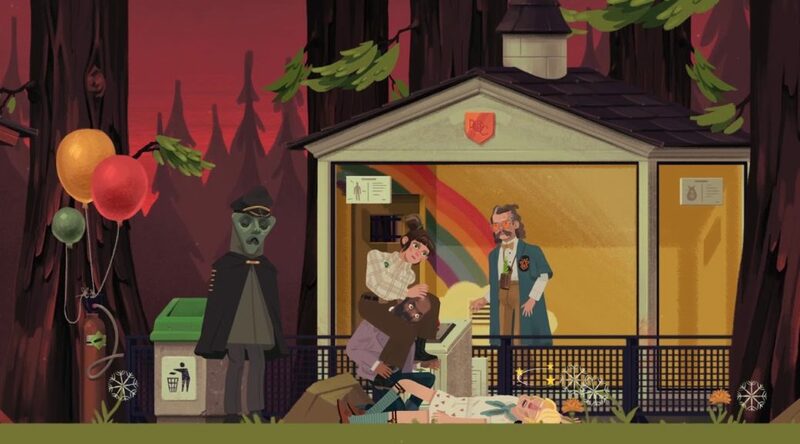 XGen Studio’s beloved point-and-click adventure, The Low Road, is now available on the Switch eShop. This marks XGen’s second Nintendo title. The studio’s first game was Defend Your Castle, which was the No. 1 bestselling game on the Wii Shop. XGen Studios is thrilled to officially release The Low Road on Nintendo Switch™, available today alongside an update to its original release on Steam, offering up quality of life changes and reworked voice acting. This marks XGen’s fourth console release and second Nintendo title. XGen’s Defend Your Castle launched alongside Nintendo’s WiiWare™ service in America where it debuted at the #1 spot, and Super Motherload was one of just 23 Day-1 titles for PlayStation 4. Drawing upon the beloved point-and-click adventure, The Low Road presents a quirky and comical look at the world of 1970s corporate espionage, set against the automobile industry. This highlights XGen Studios’ strong artistic vision in the gaming space, featuring an art style inspired by gouache paintings that feels truly unique, alongside an original musical score that blends psychedelic music with classic Americana. And now, as of today, players can take this unforgettable journey on the road, leveraging enhanced gameplay mechanics that take advantage of both the Nintendo Switch’s™ JoyCon and Pro Controller. Whether playing in handheld mode or docked from the comfort of your couch, The Low Road is a sight to behold.